Bogs were first created for farmers in soggy Oregon, and these Girl's Infant Range Print Winter Boots have the rugged, durable design to prove it. 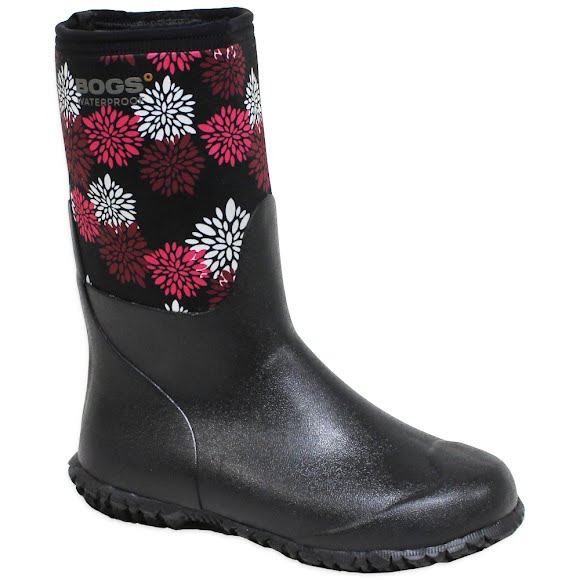 They're 100% waterproof with Neo-Tech insulation that keeps kids warm and comfortable no matter the conditions. A self-cleaning outsole resists sticky mud and debris. Bogs were first created for farmers in soggy Oregon, and these Girl&apos;s Infant Range Print Winter Boots have the rugged, durable design to prove it. They&apos;re 100% waterproof with Neo-Tech insulation that keeps kids warm and comfortable no matter the conditions. A self-cleaning outsole resists sticky mud and debris. Bio-technology activates to fight unwanted odors.